This is the first year the San Marino Rotary Club is offering scholarships to high school students from Southwestern Academy and San Marino High School who are planning to attend a 2-year, 4-year, college or vocational school. 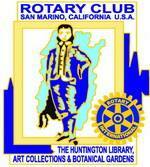 Please note all applications must be received by the San Marino Rotary club by 5:00 pm. Awards Funded: May 19 and disbursed to the school student is attending. Applications for the 2018-2019 Year are closed.